Fun times in 2018! (Which we missed). So we’re excited. 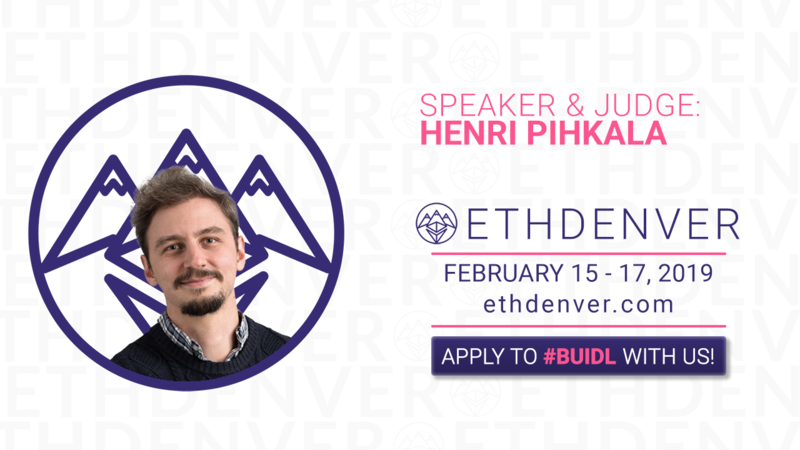 Next week, four Streamr Community members including Henri P, will be flying in to the Mile High city to attend ETHDenver for the very first time. Last year, the energy of the event seemed to exude from people’s pics and videos. You just wanted to bottle it. This time around, we didn’t want to miss out. That’s #buidl FOMO for you. The Golem guys always know where it’s at. Well FOMO no more dammit! Not only is the Streamr project a sponsor of this year’s event, we’ll be participating in two panel talks and sharing our newest development — Monoplasma — on stage with the community. What’s Monoplasma, you ask? Simply put, it is our off-chain scaling solution for one-to-many payments. (Think airdrops several times a minute). We developed it to service a new and quite radical feature on our data Marketplace called Community Products. Community Products will enable individual data producers (that’s you and me) to pool their data into a single product and crowdsell it to interested buyers. We’re excited because we think it’ll go a long way to ending our current system of data serfdom, and our community are already working on integrations from Fitbits, e-scooters and web browsers. You can read all about it here. Monoplasma itself was developed to split incoming revenue amongst potentially hundreds of thousands of data producers. On stage, we’ll be utilising Monoplasma to pay 200,000 Ethereum addresses, five times over, with just a dozen or so clicks. That’s a million payments made in under a minute. Because it is so highly scalable, payments that are traditionally made fairly infrequently, like salaries and dividends, could be paid out on a daily if not hourly basis. Henri will be delivering the 15-minute presentation on Friday at 15:00 on the mainstage so watch out for it. Streamr’s top Ethereum dev, Juuso Takalainen, will also be around, so feel free to direct those extra tough questions to him. On Saturday at 13:00, Henri will participate in Connecting to the Real World: Oracles and Data for Dapps along with reps from Rhombus, Chainlink and Maker. I’ll also be part of a panel discussion at 14:10 that same day, which I’m really excited about. Alongside Shira Frank, Zooko Wilcox and Bill Ottman, I’ll be picking apart what it means to design and build with the motto “Can’t be Evil”, and also delve into what a digital co-operative is and how dApps are breaking traditional business models. 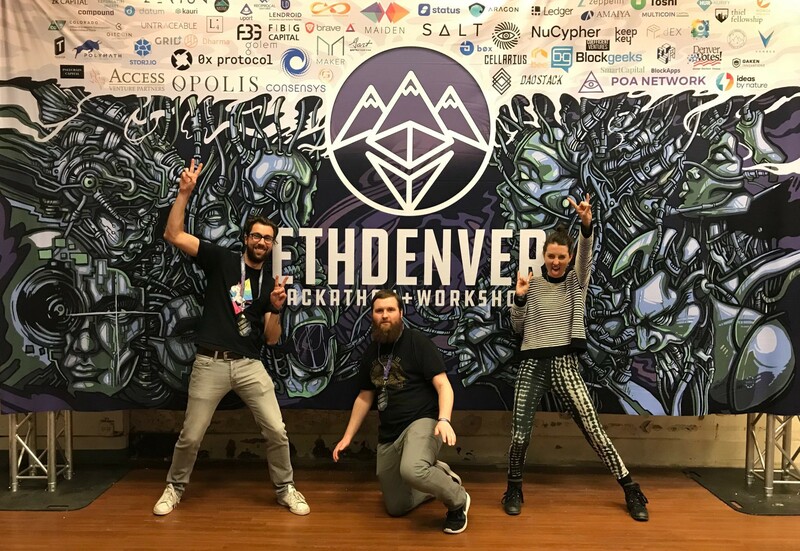 The Streamr team won’t be holding any workshops in Denver. However, our head of devrel Weilei Yu will be around to chat to at any time. So for those looking for a Web3 compatible real-time messaging system that can easily integrate smart contracts and real-world events, then Wei and the Streamr stack are there for you. Our tutorial on Cold Chain Monitoring. See you in a week’s time! Head of Comms for Streamr. Author. Broadcaster. Former Guardian investigative journalist. Passionate about economics, decentralization & Mutualism.